Ideally, social media contest should drive engagement, sales, and leads for your business. Engagement and sales are sometimes easier to capture, as they can come from users who are already customers or connected to you on social media. Generating new leads— particularly in large numbers— can be both difficult and necessary for this reason; expanding your client base as much as possible will benefit you. In many cases, getting new users to enter your contest and become leads relies on boosting the visibility of the contest. You don’t just want to reach any users, though; you want to connect with relevant users who may actually become customers in the future. In this post, we’re going to look at the 4 best ways to connect with new (and relevant) users and convert them into leads with your social contest. Finding the rights kinds of people to enter your contests can be difficult, and getting a “cold” audience to enter can be even more challenging. Referral programs built into your contests reduce this challenge significantly, utilizing word-of-mouth marketing and building on the trust associated with personal relationships. New users aren’t always likely to trust you, but they will trust their friends and family. Many people will only refer others to enter in a contest if it’s actually relevant to the new user, which ultimately benefits everyone involved. ShortStack has refer-a-friend incentive features that allow you to reward users who refer friends who enter, by giving them bonus points and extra chances to win. Users are prompted to share the contest and are able to do so right from the contest screen. Influencer marketing can be more effective for some purposes than others, but it’s definitely advantageous when it comes to promoting your contest and getting entries from new users. While big name influencers with huge audiences can give you the biggest visibility, working with “micro-influencers” in your field (or related fields) is the best way to go. 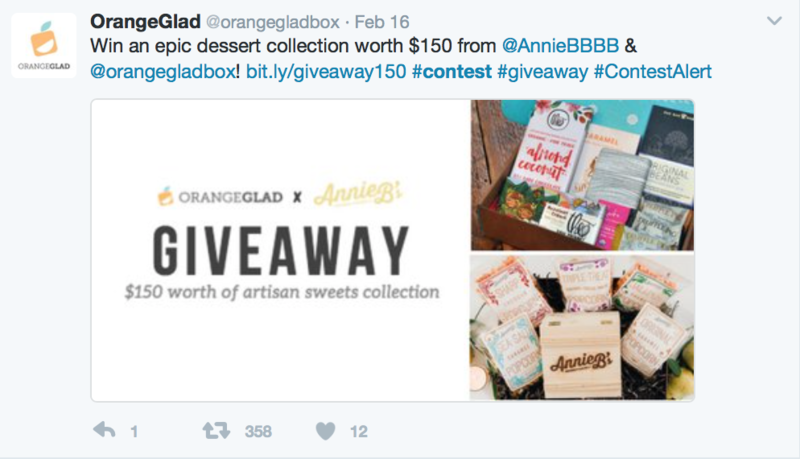 Asking influencers to promote your contest—or, even better, participate in hosting it— expand your reach to new users who will be more keen to participate. Micro-influencers can be bloggers and industry experts who have decent followings, but don’t need to be celebrities or otherwise “famous”; instead, they should have engaged and loyal followers either on social media or their blogs. Asking these influencers that you’ve already connected with to promote your contest—even if it’s just with a simple tweet—can put your contest information in front of users who may have never heard from you otherwise. And since micro-influencers are often highly trusted, this can help you get even more contest entries from new users who could convert to leads. Most businesses focus all their energy on maximizing visibility on social channels; while this should be the first priority, you can also help new users find your contests through good ole’ fashioned SEO. One of the benefits of utilizing software to create landing pages means that your contest will be more easily searchable—and findable—in engines like Google. This can send a lot more traffic your way, including traffic from people who wouldn’t have seen your social posts or the contest otherwise. In addition to the landing page, advertise your contest on your site using keywords that you want to rank for. Google sometimes weeds out newer pages, so describing the contest on your main website and linking to it may be your best bet for optimum visibility. When you want to connect with a large number of new users quickly, Facebook (and Instagram) Ads is one of the most effective tools businesses and brands have, as long as you target the right audience. When it comes to finding new potential leads through a social media contest, start by running ads with lookalike audiences. Specifically, create a custom audience off your most high-value customers, create a lookalike audience from it, and run a campaign targeting them. Visits to a website ads, sending users to the landing page for your contest. Promoted posts, where you advertise the contest and link to it directly. You can boost individual posts on Instagram directly without going through the Facebook Ads manager. Engagement ads, which promote content that link directly to your ads. Gaining new leads is one of the most valuable results you can hope to achieve with any social media contest (which is why you should always use social media giveaway tools to help, including contest software like ShortStack, that gives you this info). Because getting new users to enter your contests requires you to appeal to “cold traffic,” this can be a struggle. For best results, you should also ensure that the prize that you offer is high value and relevant to your business. While offering prizes like iPads or cash can get you a ton of contest entries, you’ll also get a ton of potential lead information for users that aren’t interested in anything having to do with your business. The real leads can be difficult to sort out from the rest, so choosing relevant but still high-value can encourage relevant users to enter your contests. Ultimately, however, getting new users to enter your social media contests most heavily on getting your contest in front of users who are actually interested in participating in it. It’s not just about expanding visibility and reach; you need to expand the reach of your contest to the right people to get the most high quality leads. The four methods discussed above can help you do just that, giving you the opportunity to grow your client base, potential sales, and your business in the process. Ana Gotter is a writer who contributes often to the ShortStack blog, as well as to Social Media Examiner and AdEspresso.